He was in Gold Coast this time and there were more smitten men! Dude, a little decorum, please! The Con staff & volunteers loved him! Which is cuter? 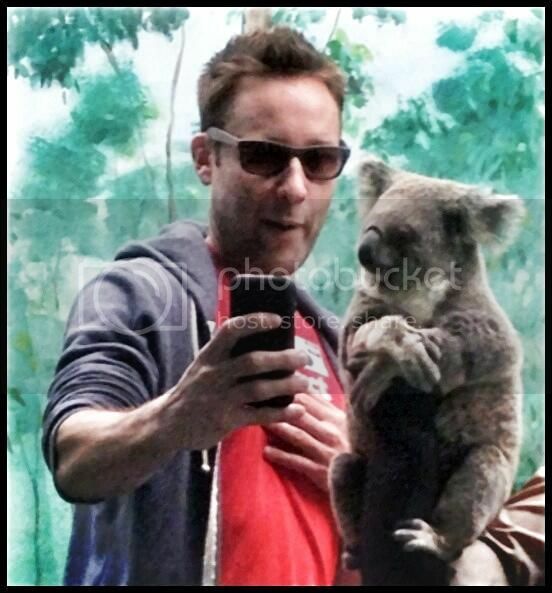 The koala's daintily crossed paws or Michael's hand on his chest? 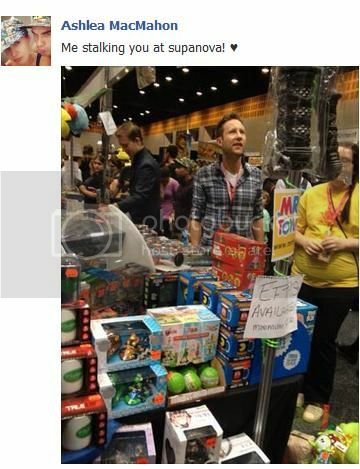 I love the expression as he stares at the cool toys...once a fanboy, always a fanboy! 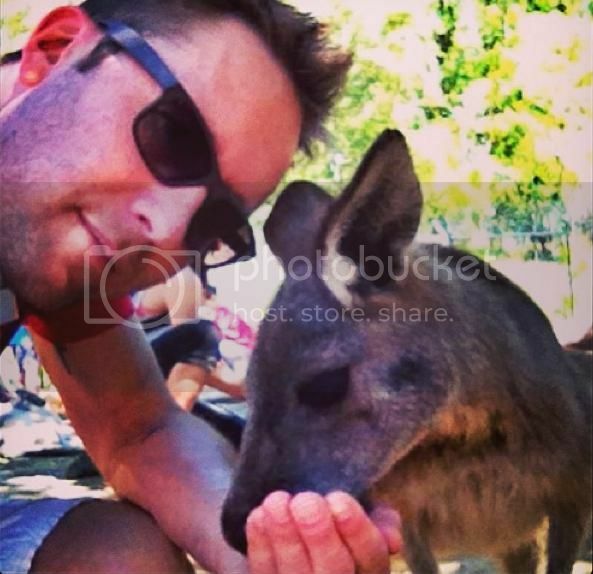 He seems to have thoroughly enjoyed Australia and it was reciprocal!